I know I know. It’s been awhile since I posted on the Brewers. Seeing that we are about 6 weeks removed from the World Series, I felt it was a good time to reflect on the 2018 season. First of all, if you have read my posts the last couple of years on this blog, it looks like I saw this season coming. Back in 2016, it looked like the Brewers were never intimidated by the Cubs. Even in a rebuild, I really think Craig Counsell and the boys felt they could compete with them. 2017 (Rebuild year 2), was the year where the team had growing pains. They were able to stay in first but could not complete the job for the division. The Brewers again played the Cubs competitive, learned how to win on their field and finished one game short of getting a playoff sport, at St. Louis (this is significant). A quality season considering the rebuild. Now we come to 2018. The team had some time at first place, lost the lead, and even for a few days in August, fell below the St. Louis Cardinals to 3rd Place. Then this is where the magic in Year 3 of a rebuild took place. Jhoulys Chacin won a game in St. Louis, a place he normally struggles. He turned out to always be the pitcher that stopped a losing streak from spiraling or when the team needed a game, he gave them just that. Christian Yelich had a 2nd half and month of September for the ages. Not one but two cycles in the same MONTH!! And a HR to complete a playoff spot in a sweep on the Cardinals home field. The cloud of St. Louis always beating them in a big game may have finally be lifted. Players like Domingo Santana and Orlando Arcia (who both were sent down and spent time in AAA) had clutch hits to bring Milwaukee it’s first division title since 2011. I was at that game back on October 1st. It was one of the best games I have ever seen in person as a Brewers fan. The amount of Brewers fans, how loud they were, and the chants of MVP for Yelich was tremendous creating a memorable winner take division showdown. Then something happened after the game. Waiting for the team bus with several fans, many players came out. They acknowledged the fans with shirts, hats, and other Division Title gear. They also talked to the fans directly and took video sharing in the experience. It showed how appreciative they were for sticking by them through thick and thin all year. The owner did it as well. You can’t fake that at all. That type of philosophy runs from the top on down. It makes being one game short from a World Series berth not feel so bad. In only 3 short years, the Brewers went from a 90 loss team to close to a World Series berth. And the amazing thing is they can only get better with players down in the minors waiting to get their shot. It’s why the team deserved the title of organization of the year. The future looks bright. The hot stove should be warm, and can pitchers and catchers report yet? Here are some sights of that Wild Card play in game where the Brewers won the division at Wrigley. I know what you are saying. Nobody listens to the radio anymore with satellite, Spotify, and a host of other music sources where you can hear your favorite tunes at your fingertips. However if you like current Dance, current Hip-Hop, classic Hip-Hop, or classic House, you are in luck as one of the biggest moves in Chicago radio is already making noise. This ultimately will be beneficial to you the listener. Back in the 1980s the big radio war was brewing between WBMX and WGCI for the crown of House music and R&B leader. WBMX was the first station to air a mixshow with the infamous Hot Mix 5. WGCI followed and eventually stole some DJs away from BMX. While BMX won early on, GCI won the war and later forced BMX to change formats to V 103. In the 1990s, the next big radio war was between the “Killer Bee B 96” and “Hell” ummm I mean “Z 95.” Those of you locals will know what I mean, just look up Hell 94.7 Chicago on Google or You Tube. WLS’ (WYTZ at the time) crazy and infamous moves did not end up working and changed formats. Meanwhile B 96 still airs a Top 40 format today. Those of you who grew up in Chicago know what I am talking about. The Hot Mix 5 and later B 96 Mixmasters were the kind of weekend mix show where you had so much fun listening to it as you did recording it off the radio on tape. Not only were these DJs local but nationally and internationally well known. Still today. I recorded the mixes too myself. I still have a ton of tapes from the B 96 Street Mix that I need to digitize. Some of it is featured on a Classics B6 page which I definitely recommend checking out. https://www.youtube.com/user/CLASSICB96 (Where my B 96 mixes I already submitted are- BrianThaB). As soon as Entercom bought CBS Radio, they made a move that sent shock waves through Chicago radio. 104.3 K-Hits (an 80s gold with some 70s recurrent station) was changed for the Classic Hip-Hop Format called 104.3 Jams. At first it is a great concept, however the main complaint on their Facebook page is that it is already plays songs by Ja Rule and Jay-Z way too much. (Side Note: Since when did Ja Rule begin the king of Classic Hip-Hop? You also don’t even play his first hit “Holla Holla”). I listened a week ago and it is about 1-2 Ja Rule and Jay-Z songs per hour like that is all Chicago ever listened to back in the day. 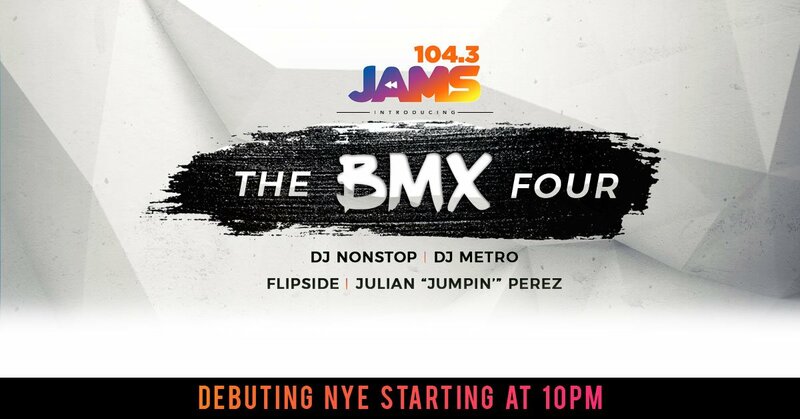 In the meantime, the station needed to make a statement and statement they made, as the legendary Julian Jumpin’ Perez along with DJ Nonstop (formerly from Kiss FM, B96, and recently GCI), DJ Flipside (B96) and DJ Metro (B96) have formed the BMX Four. They will be mixing not only NYE, but every Friday and Saturday night starting January 5th. This is great and smart news. They hired a DJ that is a legend on the old BMX and B 96. Plus he knows this market working nights and creating his Street Flava show on Sundays that was popular on B 96 in the 90s. Flipside & Metro will still mix for B 96 as I am assuming their Street Mix will stay unchanged. This does not solve 104.3’s overplay of a very small Classic Hip-Hop playlist, but it this will get people talking until they hire a full DJ staff. I am guessing will happen gradually during the winter if it has not happened already. Now airing mixes in the morning is not a new concept as 2 Hip-Hop stations in LA air mixes for their morning shows (Real 92 Big Boy’s Neighborhood and Power 106 Jay Cruz Show). This show is a similar concept locally produced for Chicago. The mixes are everything from 70s, 80s, & 90s R&B, to House music, and yes, Classic Hip-Hop. Like huge hits and great favorites not necessarily mainstream in the 80s and 90s!! In 20 minutes, this show plays more variety than 104.3’s entire playlist. It is secretly the city’s best morning show if you rather listen to music than talk to get you going in the mornings. If you don’t get the signal on terrestrial radio, you can listen online at http://www.1063chicago.com or phone apps like Tune In or myTunerRadio. What is this 102.3 thing all about? Also some of you may not know this but before 104.3 ever thought about changing formats, we already have a suburban signal that beat them to a classic hits format. WCKG 102.3 the Beat (102.3 FM and 1530 AM) has created a partnership with WBMX.com (not affiliated with 104.3 Jams) to re-create not only the Friday Night Jams mixshow (10pm-2am) and Saturday Night Live Ain’t No Jive Chicago Dance Party (6pm-12am), but also a classic hits dance friendly format on Saturdays and Sundays from noon-6 pm. They also have a Great Golden Grooves show every Sunday from 6pm-12am. The mix shows all have a rotation of guest DJs however the 2 most popular DJs featured every week are Frankie “Hollywood” Rodriguez and his “This is My House” mixshow (heard Friday & Saturday) and Mickey Mixin’ Oliver (heard Saturday night). Both DJs are former members of the Hot Mix 5 and Frankie also mixed & was on-air for B 96, and the short lived i101. The biggest thing for 2018 is that the suburban station WCKG will get a tower in downtown Chicago where you can hear the station on the radio at 102.3 throughout the entire metro area and not just the suburbs near Elmhurst. Until then you can hear them at http://www.wckg.com , http://www.wbmx.com (where all their mixes are archived to a soon to be new designed site), and on your phone on the I Heart Radio App or WBMX app. 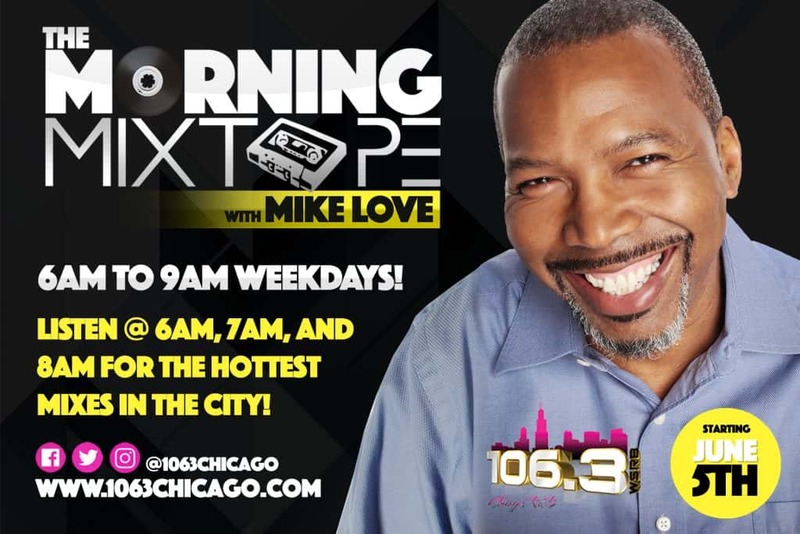 Through all the new things happening in Chicago radio, it will be interesting to see if Entercom’s B 96 or I Heart Radio’s V 103, Kiss 103-5, and WGCI stay the course or make counter moves. WGCI already took the first noticeable hit from 104.3 Jams as their ratings dropped in 1 month from 3.3 to 2.7 while WBMX rose from 2.4 to 4.4. Whatever they do, Chicago radio has just gotten much more interesting. The more choices out there, the better the competition is, and we as listeners all win. 2018 is already shaping up to be a good year!! This catch on August 30th. One of the best catches to win a game this season. Rebuilds are odd. Sometimes they can be hard on a team and its fan base and sometimes they can take you on a wild ride. The latter is the case for the 2017 Milwaukee Brewers. It is a strange baseball season we are experiencing this season. San Francisco Giants bullpen dumpster fire last year spread to the entire team, the St. Louis Cardinals want the title of most mediocre team in baseball like it is nobody’s business, and the Toronto Blue Jays have all that talent and never been able to show it yet on the W-L record. And here we have Milwaukee. A team projected to be in year 2 of a rebuild but as of today, own the most days in first in the NL Central (60 days), keep having the Cubs cancel or change the time on their games, and sneak within a shot of not only possibly winning their division but also a Wild Card spot. They also beat the best team in baseball (LA Dodgers) on their home field 2 out of 3 last weekend. It was their first series loss at the time since the first weekend in June. The Cubs DO NOT want you to know this but, they actually lost the last 2 season series against the Brewers. The Brewers took 5 out of 7 and you can argue they gave the game on September 16 away. The Cubs assumed they would clinch the division at the expense of Milwaukee September 15th last year, but the Brewers said not on their dime and won 5-4. The Cubs wanted to rest their starters on September 17th, soundly got beat 11-3, so Joe Maddon had to play all the regulars, and the Cubs still got beat 3-1. It look liked the Cubs were happy they were done playing the Brewers for this season. Looking back, I think it was at this point that this Brewers team really felt they could compete with other NL teams (including what we now know are the World Champion Cubs). It carried over to this year obviously. No matter what the Brewers do this year, it has been a successful season. All their young players are getting valuable experience and learning what it takes to compete in a pennant race. Most rebuilding teams don’t get that valuable gift of experience in year 2 of a rebuild. And seeing that 7 more games are between the Brewers and Cubs, just like last year, the Brewers are very capable of taking 5 out of 7 from them this month. It has happened before. Remember, it is the Cubs division to lose and the Brewers were not supposed to be here. Sometimes baseball does strange things. The world turned upside down when a St. Louis writer actually wrote a positive article about the Brewers this past Monday. Yes this sport called baseball is great. Anything and everything can happen. Like the 2017 Milwaukee Brewers. Some of the most fun I have had watching this team since 2011. July 6th will be the makeup game between the First Place Brewers (36-32 as of Friday 6/16) and the Chicago Cubs (32-33 as of Friday 6/16). The Brewers just completed a very tough schedule by winning 3 out of 4 against the St. Louis Cardinals which historically has been a tough place to play for them. From now until July 6th, not one team at or above .500 will play Milwaukee. This includes San Diego, Pittsburgh, @ Atlanta, @ Cincinnati, Miami, and Baltimore (19 games). The Cubs only have one series at home series from now until July 4th (14 games). The reason why I say this is because there is a pretty eye opening reason why the Cubs are underachieving this year. The Cubs before Friday’s game have a road record of 13-18. It seems like every time they turn a corner and look to go on a run, they negate it with a loss. They have NOT won a road series since April 24-26 at Pittsburgh. The Brewers on the other had have the 3rd best road record in the NL at 19-13. What these two teams do before July 6th might be telling. Hopefully for the Brewers, they can begin to separate themselves from the pack of the NL Central. The kids from AAA (Brett Phillips, Lewis Brinson, and Josh Hader) have arrived already. People say it’s still early but July 6th won’t be so early anymore. The Brewers have the best of both worlds. First place during a rebuild season. This has been the most fun I have had watching this baseball team since 2011. Getting Brewers pitcher wrong (his name is Zach Davies ESPN editors), the article does make some good points about how good and a pleasant surprise, the Brewers offense has been this year. Back to this quote. Chemistry. This team battles together, fights together, and celebrates together. I have not seen so much togetherness in a Brewers team since 2011. And Mother’s Day vs the Mets was a perfect example of why Chemistry is a underrated stat. Against the Mets Jacob deGrom the Brewers were down 7-1. You thought perhaps they won’t have it today, the sweep is not in the cards. 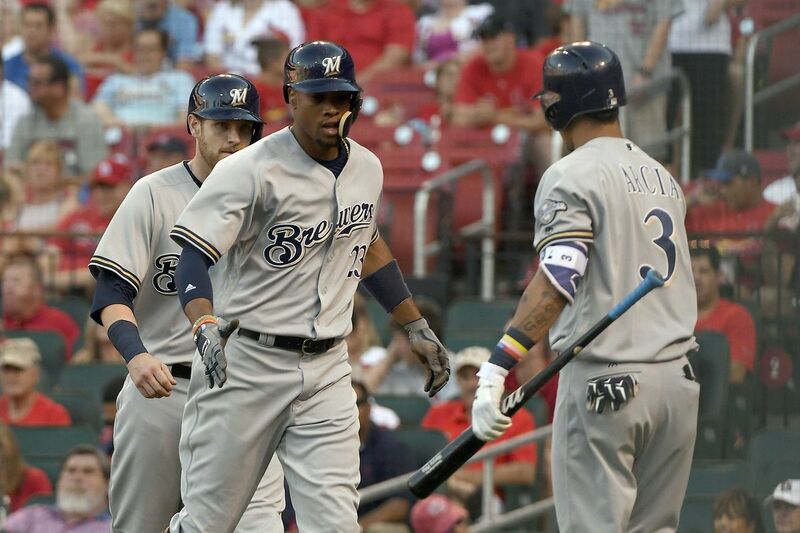 And the Brewers continued to battle and battle back chipping away. Travis Shaw: Ball, Strike looking, Strike looking, Foul, Ball, Shaw grounded out to pitcher. Manny Pina: Foul, Pina doubled to deep left. Jhan Marinez: Strike looking, Strike swinging, Marinez grounded out to first, Pina to third. Keon Broxton: Strike swinging, Foul, Ball, Ball, Broxton homered to left center, Pina scored. Orlando Arcia: Foul, Ball, Foul, Foul, Arcia struck out looking. Domingo Santana: Ball, Ball, Foul, Ball, Strike swinging, Santana singled to center. JERRY BLEVINS RELIEVED JACOB DEGROM. Jonathan Villar: Strike looking, Ball, Ball, Villar homered to left center, Santana scored. Eric Thames: Ball, Strike looking, Ball, Ball, Thames walked. FERNANDO SALAS RELIEVED CURTIS GRANDERSON. Jesus Aguilar: Strike looking, Foul, Ball, Foul, Ball, Aguilar doubled to deep center, Thames scored, Perez to third. JETT BANDY HIT FOR JHAN MARINEZ. Jett Bandy: Ball, Strike swinging, Foul, Foul, Bandy struck out swinging. Keon Broxton: Ball, Strike looking, Ball, Strike looking, Broxton struck out swinging. And then this happened in the 8th. Orlando Arcia: Foul, Ball, Ball, Foul, Ball, Arcia walked. Domingo Santana: Ball, Strike swinging, Santana flied out to deep center. Jonathan Villar: Ball, Strike looking, Ball, Ball, Villar singled to deep right, Arcia to third. JOSH EDGIN RELIEVED FERNANDO SALAS. Eric Thames: Ball, Ball, Strike swinging, Thames hit by pitch, Villar to second. ADDISON REED RELIEVED T.J. RIVERA. Hernan Perez: Strike swinging, Ball, Strike looking, Foul, Foul, Perez singled to right, Arcia and Villar scored, Thames to second. Jesus Aguilar: Ball, Strike looking, Strike swinging, Ball, Foul, Aguilar struck out swinging. ERIC SOGARD HIT FOR NEFTALI FELIZ. Eric Sogard: Ball, Strike looking, Sogard grounded out to third. Brewers 11 Mets 9 which was the final. When Manny Pina came up to bat battling and battling foul ball after fall ball, he finally came up with the biggest hit of the season so far. Unbelievable. I immediately thought this shared similarities with the Easter 1987 comeback. IF and that is a big IF this rebuild team ends up making a run at the playoffs, we will look back to May 14, 2017 as a game that defined the season. Again, the Brewers are not supposed to make a playoff run. Saying that, it is clearly obvious the rebuild is going much quicker than anyone thought, me included. The season is still a long ways to go. In any case, I absolutely love the way this team is playing now. They are fun to watch!! What an amazing day!! In mid-April I spent 4 days in the Pacific Northwest visiting Seattle. This was my second time there and it is easily my 2nd favorite city (Chicago being #1). There is just something breathtaking about all of the nature surrounding the city and when the sun is out, it is one of the most picturesque cities in the country. On Thursday of that week, I saw Snoop Dogg in concert. It was part of the Mount Kushmore Wellness Retreat Tour. In addition to Snoop, there were other 90s hip-hop greats like Method Man/Redman, and Cyprus Hill. Below are samples of the video I took. It was an awesome memory back to the 90s. Also these are the explicit lyrics so the videos are NSFW. The start of another baseball season! It’s been awhile since I did a blog. Sometimes other things in life took me away from doing this. Since my favorite sport officially started April 2nd, I thought the time would be perfect to start posting regularly again. Baseball has always been about connections. The connection of your hometown. The connection of your youth and where you grew up. The connection of your favorite player growing up and your favorite player now. And the connection of a family member (in this case my grandfather) who while in heaven, I will never forget the bond we shared and how I grew to love the game just like seeing him on a summer evening with a game on the radio and a game on television. This picture is great. It shows my connection to why I love baseball. And the memories of the day I noticed my Grandfather spending his summers watching Cubs Home games in the afternoon on WGN, Brewers road games on Super 18/Fox 24, or Braves games on TBS at night. If the Brewers weren’t televised, he would have his transistor radio on WTMJ AM for a Brewers game with the TV on another game. Warm summer evenings watching the sun set on another day with the Brewers game by his side was his idea of relaxing. Dodgers fans or not, we all have been connected to the game by Vin Scully for the last 67 years. It may have been a summer night in Southern California, a NBC Saturday Game of the Week, or The memorable calls of the 1986 and 1988 World Series. Vin Scully connected us to baseball unlike any broadcaster. While I think we will really start to miss him now, here is a reminder of how great he his during Jackie Robinson day Saturday 4/15. Hope everyone is having a good Passover and Easter weekend!